Do You Want A FREE Real Techniques Brush Set? I’ve got such an awesome offer for you today! How do you fancy a FREE Real Techniques Brush Set? I’ve teamed up with Topcashback to offer you guys this awesome deal for a limited time! All you need to do is sign up to Topcashback, click on GET DEAL, then purchase the product as normal from Boots. Topcashback will then refund the money back to your account after 7 days! You must be a new member to TopCashback. You must sign up via the above link. That’ll then redirect you to a page explaining all about the deal. 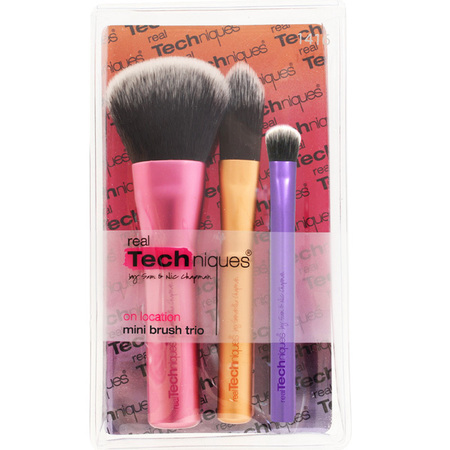 Click on the “get deal” button and it will link to the Real Techniques Mini Brush Set product page at Boots. Purchase the product as normal then after 7 days you will receive £9.99 cashback to your TopCashback account, effectively “refunding” the original amount paid. The offer ends on Sunday 1st June at 23.59.